Current flavors: Dark Choc Blueberry, Dark Choc Rasberry, Dark Choc Mint, and Dark Choc Toffee. Windhill's flagship product is a step above your average candy bar. They start with the rich, 70% Dark Belgian chocolate, and add all-natural flavors and ingredients for a truly decadent experience. 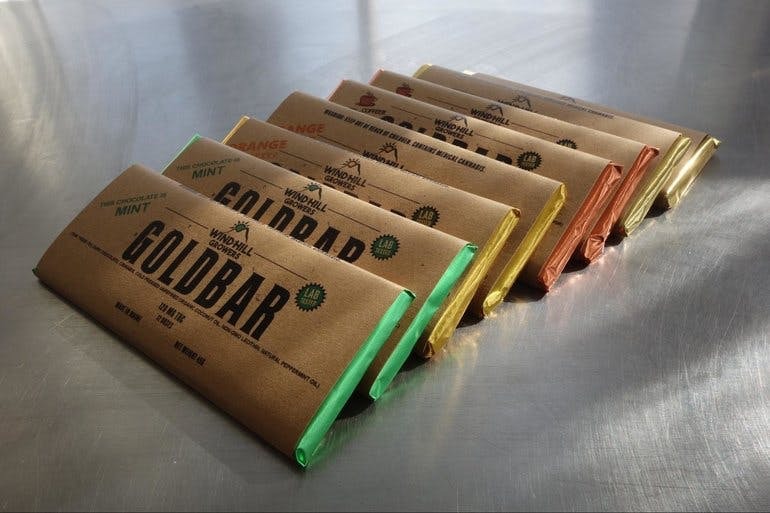 These bars come in a "doubledose" with 20 mg per piece - because sometimes one square just isn’t enough.